Kayak with dolphins, join a whale-watching tour or just be zen on a rainforest-fringed beach. 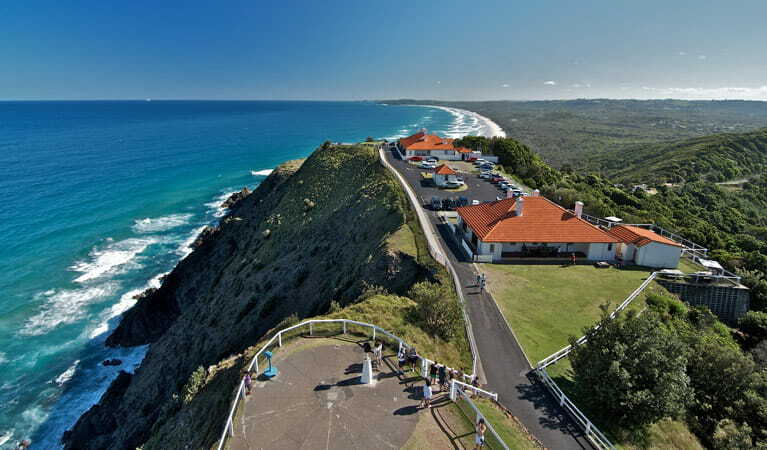 Byron Bay has a diverse range of accommodation and its thriving gourmet culture is on show at the many beachfront restaurants and cafes. With its natural splendour and new-age vibe, you'll soon see why Byron is a mecca for surfers, sea-changers, hippies, healers, artists and eco-warriors alike. The nearest train station is in Casino with a bus service to Byron Bay. Please visit NSW TrainLink for timetables, fares and online bookings. 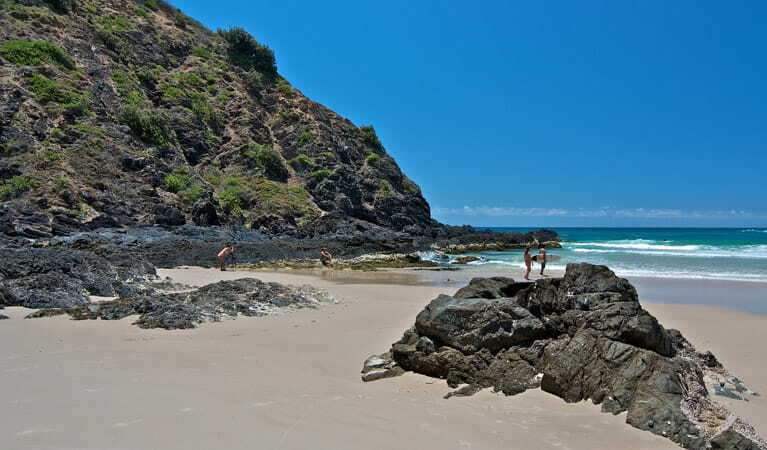 Most bus companies located on the east coast of Australia have regular services to Byron Bay. For up-to-date weather forecasts, please visit the Bureau of Meteorology website. 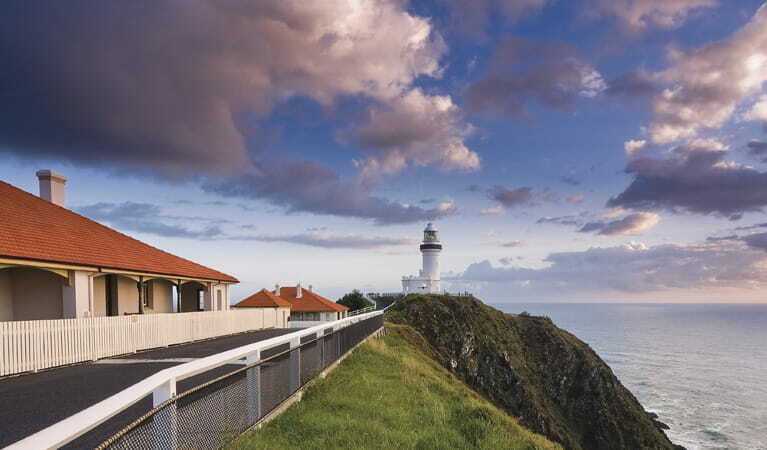 Begin your journey at Cape Byron Information Centre where you'll find all the information you need to make the most of your visit. Stay awhile and take in the sights from this picturesque setting before heading to The Pass Cafe to enjoy a leisurely lunch surrounded by lush littoral rainforest. 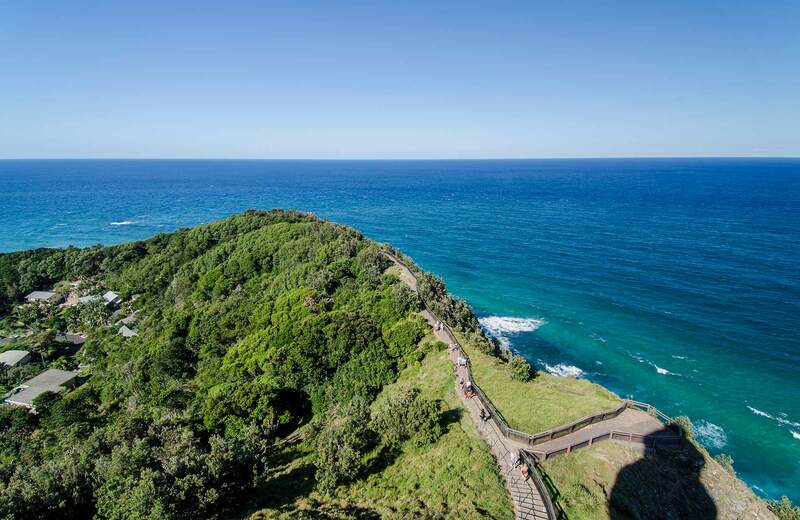 Follow the Cape Byron walking track to Cape Byron Lighthouse, which marks the most easterly point on Australia’s mainland, and take a guided tour to the top where you'll be blown away by the views across the ocean and hinterland. Between June and November you might even spot humpback whales sailing past the headland. As the day draws to a close, stay overnight in the Assistant Lighthouse Keepers Cottages for a taste of what it's like to live in a lighthouse. Take a day trip through the Byron hinterland for a refreshing change from the bustle of the coast. A visit to Nightcap National Park is a must, where keen bushwalkers can tackle Minyon Falls walking track to explore World Heritage-listed rainforest, pristine creeks and spectacular waterfalls. If you'd prefer to take it easy, head to Minyon Falls lookout and enjoy the beautiful views as you watch the cascades flow into a deep palm-shaded gorge. As night falls, make your way to Rummery Park campground and listen out for kookaburras as you cook up a well-earned barbecue feast to round off the day's adventures. Grab an early breakfast in Suffolk Park then spend the morning catching waves off beautiful Broken Head. 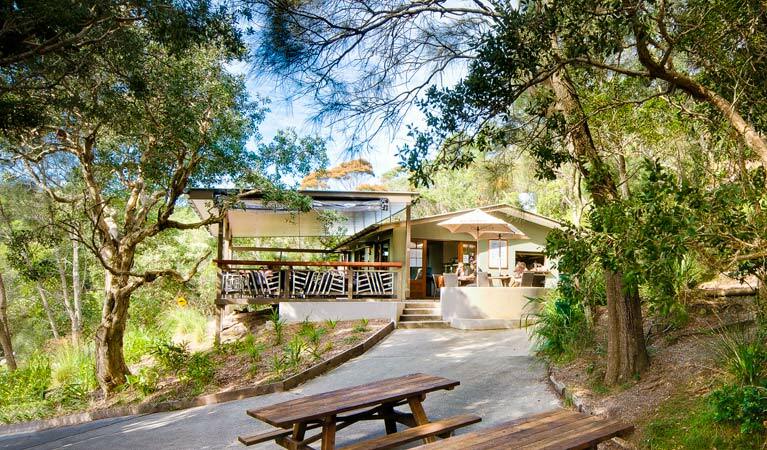 Take advantage of the nearby picnic area and whip up a barbecue feast for lunch before heading to the Three Sisters walking track to explore the lush rainforest and spectacular coastal views. As mid-afternoon approaches, make your way back up the coast for another surf session or get away from the crowds and spend some time throwing a frisbee on the sand at Tallow Beach. Take the family walking through the rainforest on a day-trip to this spectacular lookout. Find out about its Aboriginal heritage, and after, enjoy whale watching and picnicking by the beach.